It’s tough enough for a small business. What if you’re #2 on Business Week‘s best global brands list, with nearly 400,000 employees across 170 countries? IBMers use tools such as Twitter and LinkedIn for external activity, but take advantage of mostly IBM tools inside the company. 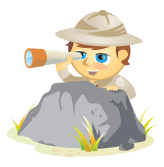 Internally, 100,000 employees have registered on the blogging platform to rate and comment on posts across 17,000 blogs. Have guidelines, but don’t police from above. Employees tend to self-regulate. Let employees write the guidelines and they’ll feel empowered. Not every company can create their own tools. Look for powerful social media tools and encourage employees to use them to do their jobs better. Bring together employees, clients, partners and friends for powerful idea-sharing. In this vibrant forum, employees exchange ideas, advance conversations and do a little self-promotion of their projects. An internal wiki serves as a hub of information, drawing well over a million page views every day. Additionally, downloads in the company’s user-generated media library now total 11 million. An IBM tool called Dogear functions like Delicious, a social bookmarking site. Blue Twit mimics Twitter. A tool called SocialBlue acts like Facebook, helping employees stay connected with former colleagues and get to know new ones. Like Facebook, the 53,000 or so SocialBlue members share photos and status updates. In IBM’s widely dispersed environment, family photos mimic cubicle-decor and dialogue mimics water-cooler interaction. Run an online search for “IBM blog” and you’ll find countless IBMers posting publicly on everything from service-oriented architecture to sales to parenthood. If you want to blog at IBM, you simply start. IBM lists all of its blogs in a simple directory sorted by the name of the blogger. They share thoughts, ideas, presentations, photos, videos, you name it. In 2006, the IBM mainframe blog hit the big time for posting a series of videos on YouTube that linked back to the blog. The Art of the Sale mockumentaries, in The Office style, lightheartedly poke fun at IBM and corporate sales in general. Part I of The Art of the Sale racked up 250,000 views on YouTube. Additionally, an estimated 200,000 employees are on LinkedIn, with another 50,000 former employees in alum networks on LinkedIn and Facebook. Christensen ties IBM’s social media explosion to company “jams.” In 2003, IBM conducted its first jam, not unlike a band jam, bringing employees together in an online forum for three straight days. 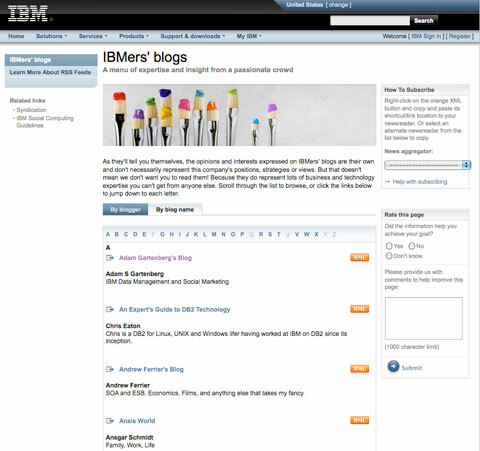 A couple of months later, IBM opened blogging platforms inside the company. IBM now includes much bigger and more diverse crowds—as many as 500,000 people in some cases. An innovation jam in 2006 brought together employees—and friends, family and clients—to discuss more than 50 research projects within the company. From there, they voted on the 10 best, which became incubator businesses that IBM funded with $100 million, all based on “crowd” discussion. A few incubator businesses—intelligent utility systems, smarter transportation systems and electronic health records—were the start of what is now a major IBM movement, Smarter Planet. The initiative puts IBM computing power and problem-solving toward issues like rush-hour traffic or natural disaster response. It really began as a grassroots movement among employees. Christensen himself is one of several authors on the public “Building a Smarter Planet” blog, which highlights ideas and initiatives on the topic, not just within IBM. 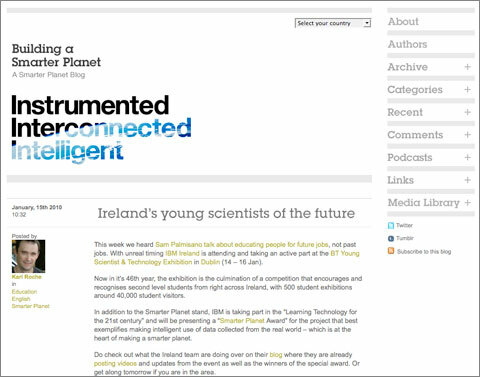 Here is a screen shot of the Building a Smarter Planet Blog. But all the public IBM Smarter Planet discourse is not just about amassing IBMers. Sometimes Smarter Planet projects—which can impact millions—need public support. What do you think about IBM’s social media program? What level of control have you found most effective for your company’s social media efforts? What are your favorite crowd-sourcing tools? Leave a comment below.